DAS Law is pleased to confirm that it has appointed James Christacos to the board. As board director and head of operations James’ responsibilities will include ensuring that customer satisfaction is guaranteed and that DAS Law continues to deliver the best service possible to meet customers’ needs within a sustainable and enduring business environment. James will also be responsible for identifying new legal services as well as making continual improvements to the firm’s existing ones. James joined DAS Law to head up operations in September 2013. 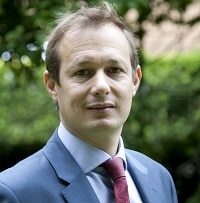 James qualified as a solicitor in 1997 and has since worked in private practice and in-house, holding a variety of legal, operational, sales, IT and project management roles across organisations from start-ups to multinational corporations and top 30 law firms. In more recent years, he has focused on legal process re-engineering. Aligning IT capability with service delivery to make sure that the customer experience is at the forefront of the process. In support of this, James won the 2013 ‘Know List’ Leadership Award, recognition as the UK’s operational leader in professional service firms.